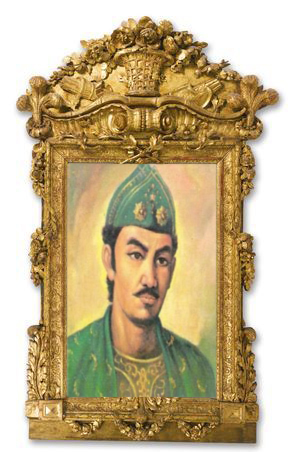 The site is supposedly the oldest in the world the rest of the triumph of the Kingdom of Sriwijaya was on Barelang Village, Kampar regency, Riau. The distance to the center of the village temple complex itself Barelang about 2.5 km, not far from the edge of Kampar Kanan River. 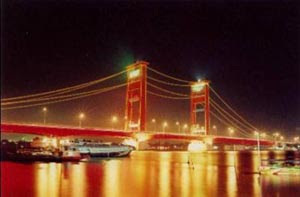 And from the cross road of West Sumatra, Riau, is within a distance of about 19 km. temple complex which was first discovered Cornet D Groot in 1860 it was truly unique. Unlike the temples in Java such as Borobudur, Prambanan and others. Temple complex is surrounded by a wall measuring 74 x 74 meters. Outside their area of land there is also a wall measuring 1.5 x 1.5 km that surround this complex to the Kampar Kanan river. Within this complex there are also old buildings of the temple, temples and Stupas Mahligai Youngest and Palangkaraya. Here we find the temple made of clay and sand soil. Historically, the Village Barelang before becoming a central teaching of Buddhism, is an area that formerly had disingahi sailors from the kingdom of Srivijaya with Right down the Kampar River. 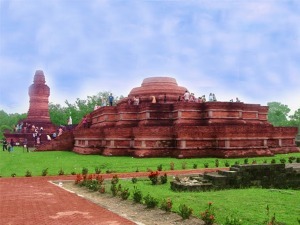 Apart from the old temple, the temple Youngest, Mahligai Stupa and Palangkaraya, in the complex were also found mounds is estimated as the burning of human bones. Outside the complex there is also the former buildings made of brick, which has not been established types of buildings. Belonging to this temple is a testament pernahnya Budhistis Buddhism evolved in this region several centuries ago.Nevertheless, archaeological experts have not been able to determine exactly when this temple was founded. There are opinions that say the 11th century, some say the 4th century, the 7th century, the 9th century, and so on.